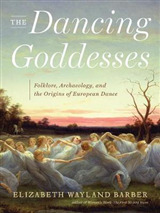 History of Dance, Second Edition, offers readers a panoramic view of dance from prehistory to the present. 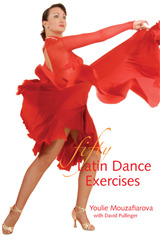 The text covers the dance forms, designs, artists, costumes, performing spaces, and accompaniments throughout the centuries and around the globe. Its investigative approach engages students in assignments and web projects that reinforce the learning from the text, and its ancillaries for both teachers and students make it easy for students to perceive, create, and respond to the history of dance. New to This Edition History of Dance retains its strong foundations from the first edition while adding these new and improved features: - An instructor guide with media literacy assignments, teaching tips, strategies for finding historical videos, and more - A test bank with hundreds of questions for creating tests and quizzes - A presentation package with hundreds of slides that present key points and graphics - A web resource with activities, extensions of chapter content, annotated links to useful websites, and study aids - Developing a Deeper Perspective assignments that encourage students to use visual or aesthetic scanning, learn and perform period dances, observe and write performance reports, develop research projects and WebQuests Internet-based research projects, and participate in other learning activities - Experiential learning activities that help students dig deeper into the history of dance, dancers, and significant dance works and literature - Eye-catching full-color interior that adds visual appeal and brings the content to life Also new to this edition is a chapter entitled "Global Interactions: 2000-2016," which examines dance in the 21st century. Resources and Activities The web resources and experiential learning activities promote student-centered learning and help students develop critical thinking and investigative skills.Teachers can use the experiential learning activities as extended projects to help apply the information and to use technology to make the history of dance more meaningful. Three Parts History of Dance is presented in three parts. Part I covers early dance history, beginning with prehistoric times and moving through ancient civilizations in Greece, Crete, Egypt, and Rome and up to the Renaissance. 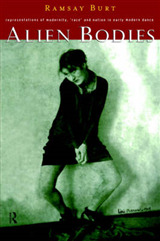 Part II explores dance from the Renaissance to the 20th century, including a chapter on dance in the United States from the 17th through 19th centuries. Part III unfolds the evolution of American dance from the 20th century to the present, examining imported influences, emerging modern dance and ballet, and new directions for both American ballet and modern dance. Chapters Each chapter focuses on the dancers and choreographers, the dances, and significant dance works and literature from the time period. Students will learn how dance design has changed through the ages and how new dance genres, forms, and styles have emerged and continue to emerge. 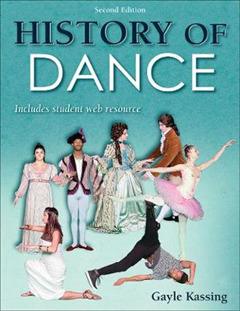 The chapters also include special features, such as History Highlight sidebars and Time Capsule charts, to help students place dancers, events, and facts in their proper context and perspective. Vocabulary words appear at the end of each chapter, as do questions that prompt review of the chapter's important information. 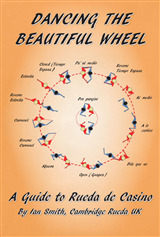 The text is reader-friendly and current, and it is supported by the national standards in dance, arts education, social studies, and technology education. Through History of Dance, students will acquire a well-rounded view of dance from the dawn of time to the present day. 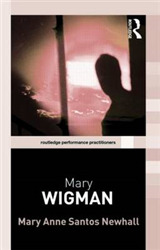 This influential text offers students a foundation for understanding and a springboard for studying dance in the 21st century.